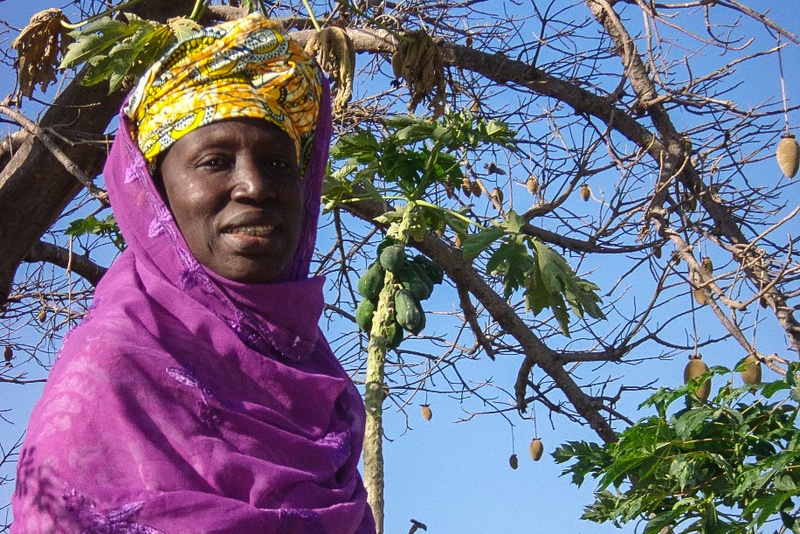 home › posts › success story from senegal ten trees planted for every item purchased. tentree, Trees for the Future and Moussa Ndao thank you for your support in Senegal! Moussa Ndao is a lead farmer in Senegal, who is a lynch pin for tree planting in his community and the surrounding villages. Moussa’s dedication to promoting agroforestry in his home village of Bentinki and the surrounding villages has earned him this recognition. We wanted you to hear a story about someone who has taken your contributions (trees) and done great things! 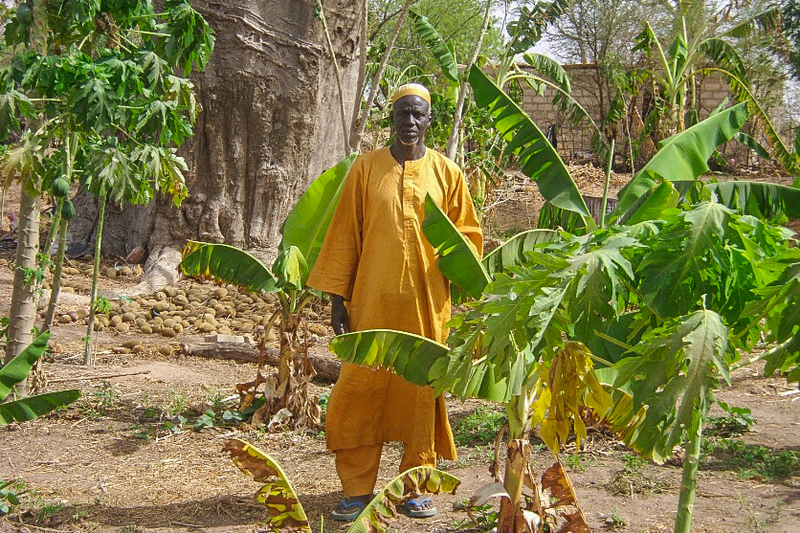 Moussa Ndao is a farmer who has dedicated most of his efforts to grow peanuts to support his family in the Kaffrine Region within the peanut basin in Senegal. However, during the past ten years, he has found more lucrative opportunities with vegetables and fruit trees than traditional field crops. Moussa (above) has a large forest garden which he is happy to show to visitors. The living fence of thorny trees protects a garden full of papaya and grafted-mango trees, banana plants, Leucena trees for wood, and several vegetables such as cassava, sweet potato, beans, tomatoes, beans, lettuce, and hot peppers. Moussa jokes that he has his own supermarket. He has fresh produce regularly without leaving the village…and he wants other families to have a forest garden too. His wife (below) has also been crucial to the establishment of their garden, she is usually with the kids but still finds ways to contribute every day! Through the donations made by tentree, Moussa has become more than a successful producer of fruits and vegetables; he has earned, through his hard work and positive energy, an opportunity to become a program leader for Bentinki and the surrounding communities. He enjoys promoting live-fencing techniques and teaching other interested farmers how to start their own tree nurseries for both live fencing and fruit trees. As a lead farmer, he trains and provides support for more than 20 farmers in his area. The post success story from senegal appeared first on tentree.